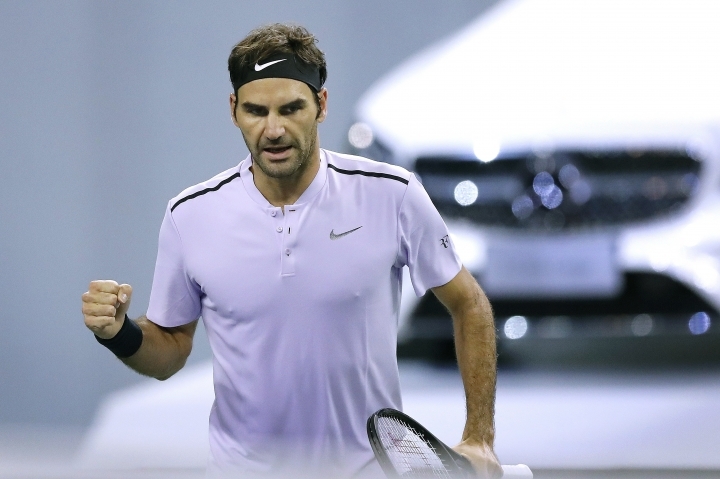 SHANGHAI — Rafael Nadal and Roger Federer will face each for the 38th time after advancing Saturday to the Shanghai Masters final. Top-seeded Nadal defeated Marin Cilic of Croatia 7-5, 7-6 (3) in the first semifinal, and second-seeded Federer was stretched to three sets before posting a 3-6, 6-3, 6-3 win over Juan Martin del Potro of Argentina. Nadal, who won a tour-best sixth title of the season at the China Open last week, improved his current winning streak to 16 matches. The Spaniard, who has 16 Grand Slam men's singles trophies, won the French and U.S. Open titles this season. Federer, looking for his sixth title this year, won the Australian Open and Wimbledon this year to increase his Grand Slam men's singles record to 19 titles. Nadal holds a 23-14 winning record over Federer, but Federer has won their last four meetings, including all three this season. Nadal has won 14 of 23 finals against Federer. "I'm not sure what the stat is because most of them, half of them, maybe, were in finals and that's why the rivalry is so special," Federer said. "I enjoy playing against him even if the head-to-head is not in my favor. He's one of the guys who's made me a better player. I don't want to thank him for that, but it made me go back and rework my game." Del Potro went for an MRI on Friday night after falling and hurting his left wrist but showed little sign of the injury bothering him against Federer. The Argentine said his wrist was hurting after the match. 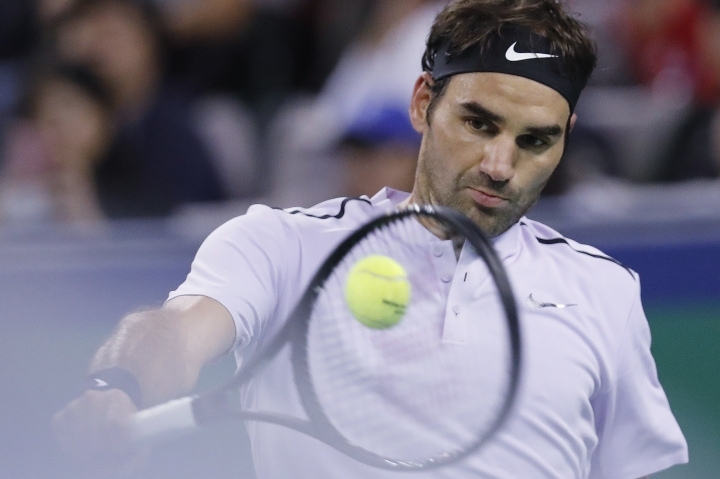 Federer, who lost in the quarterfinals to del Potro at the U.S. Open this year, looked shaky in the opener but found his form for the final two sets. He broke 16th-seeded del Potro on a fifth break point in a contentious sixth game of the second set. When Federer missed out on the fourth break point, the Swiss hit a ball in anger across the court. During the changeover after the seventh game, an annoyed del Potro asked why Federer wasn't given a warning for the outburst. "Getting that break and then holding is always key ... especially with all the twists and turns in tennis," Federer said. "If you blink at the right time your back can be against the wall." Nadal, who was a finalist here in 2009, has now beaten Cilic in five of their six matches. Nadal hadn't lost his serve in 32 service games but fourth-seeded Cilic broke him twice, in the sixth and 10th games of the second set. At 30-40 in the sixth game, Nadal netted a forehand volley to surrender his serve for the first time, and responded by twice angrily banging his racket on his leg, just above the knee. "Is true, sometimes I get frustrated too," Nadal said. Nadal failed to take advantage of his first match point when he made a forehand error at 40-30 in the 10th game, and went on to have his serve broken. Leading 6-3 in the second-set tiebreaker, Nadal prevailed on his second match point when Cilic netted a service return. Nadal said there were "mistakes with my serve in the second, that's the only thing. For the rest, I am happy." Nadal saved three set points on his own serve when 5-4 down. 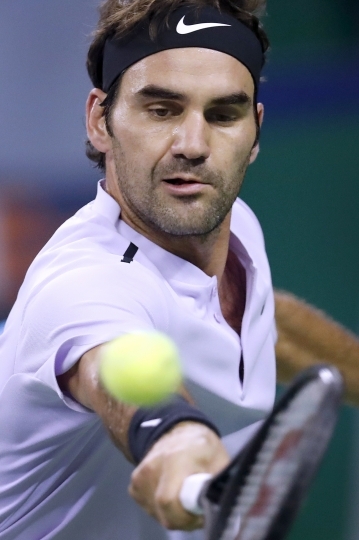 The Shanghai Masters wants to expand to a 10 or 11 day event, increase its draw size from 64 to 96, and raise prize money to more than $10 million, starting in 2019. The ATP board is expected to discuss Shanghai's request next month.